HAVE YOU EVER HEARD OF A MEDICAL INTUITIVE? Did you know that your body is surrounded and permeated by an energetic life force called chi or prana? Before illness and emotional ailments appear, they first appear as energetic disruptions in the aura. Pranic Healing works without touch to deeply and quickly cleanse and energize that system. Are you ready to feel energy and experience deep healing and guidance? Pranic Healing® is a highly evolved and tested system of energy medicine developed by GrandMaster Choa Kok Sui that utilizes prana to balance, harmonize and transform the body's energy processes. Prana is a Sanskrit word that means life-force. This invisible bio-energy or vital energy keeps the body alive and maintains a state of good health. In acupuncture, the Chinese refer to this subtle energy as Chi. 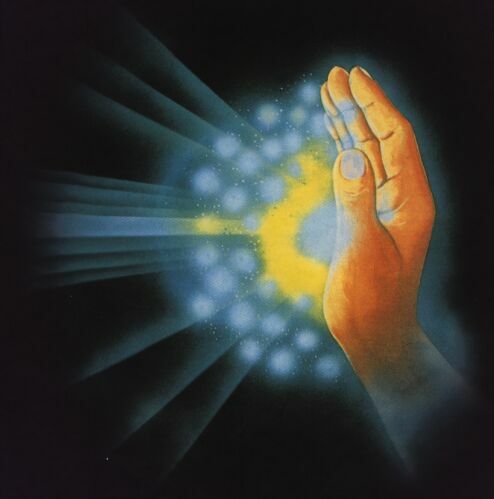 Pranic Healing® is a simple yet powerful & effective system of no-touch energy healing. ​It is based on the fundamental principles that the body is a self-repairing living entity that possesses the ability to heal itself and that the healing process is accelerated by increasing this life force that is readily available from the sun, air and ground to address physical & emotional imbalances. ​ Master Choa Kok Sui says "Life Energy or prana is all around us. It is pervasive; we are actually in an ocean of Life Energy. Based on this principle, a healer can draw in Pranic Energy or Life Energy from the surroundings." Pranic Healing® requires no drugs, gadgets, not even physical contact with the subject. Physical contact is not required because the practitioner is working on the bioplasmic or energy body and not directly on the physical body. This energy body, or aura, is the mold or blueprint that surrounds and interpenetrates the physical body. It is the energy body that absorbs life energy and distributes it throughout the physical body, to the muscles, organs, glands, etc. Master Choa Kok Sui developed Pranic Healing® as a comprehensive System of energy medicine to improve the quality of our everyday lives. How Can Pranic Healing Help Me? Michelle Miller has been practicing Pranic Healing since 2011, and has studied MCKS Pranic Healing, Pranic Feng Shui, Kriyashakti (the art of manifestation), Spiritual Business Management, Arhatic Yoga, and more. Michelle has studied medical topics, such as emotional health, hormones, the human brain, human physiology, and forensic anthropology.She has also studied intensive mediumship with James van Praagh while in Scotland. “When I was a child, I was always super sensitive and didn’t realize I was picking up on the emotions of others. When I entered junior high school, other gifts started opening up, and without any resources, I began to struggle to cope and deal socially with my experience of the world. By early college, I had experienced trauma in other areas of my life and began to see and hear energy and experience health issues. Shortly afterwards, I was diagnosed with depression, and then a year later, bipolar disorder. After over a decade of medication, I was invited to take Pranic Healing 1...Through the tools and MCKS Pranic Healing, I was able to get off all medication with the help of my doctor and gain the label of “Full Remission” on my bipolar medical status. Michelle works on all types of cases, including cases related to spirituality and intuition, and specializes in how our emotions interact with the physical body and can cause physical illness. It's harder to work on ourselves to grow and heal if we don't feel well. ​Michelle's sessions are designed to provide relief, guidance and empowerment. Healing is a process, and pranic energy (or chi) has been the secret to accelerating the process for millennia. Remote or distance sessions can be scheduled for clients out of the area or unable to travel. Remote sessions can also be scheduled outside of normal hours. Click the “Schedule Appointment (Remote)” button to email me. Tuesdays 1-4pm and by appointment.